Fife Window Cleaning Services provide patio cleaning, patio pressure washing and power washing services in Glenrothes. In Glenrothes we offer a comprehensive residential patio cleaning service, and also offer commercial pressure washing in Fife. 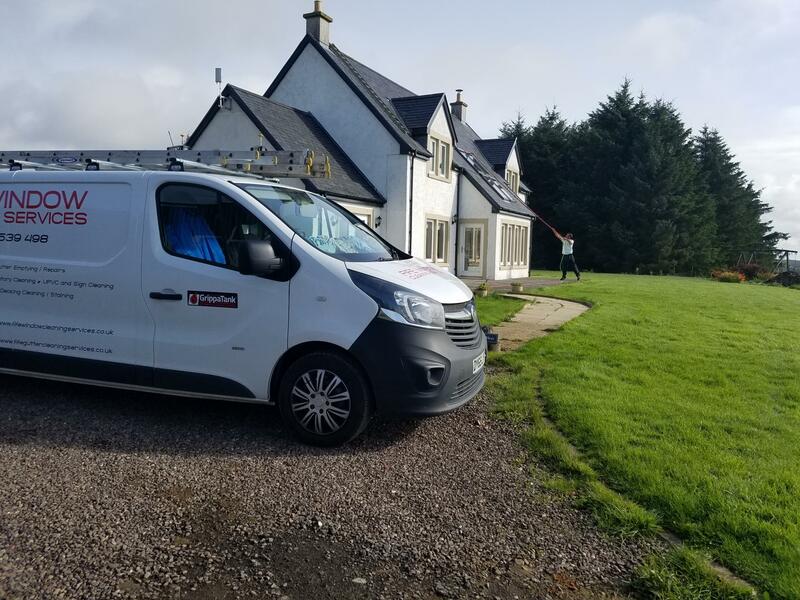 Call Fife Window Cleaning Services now on 07856 539 498 or email us on our online contact form for a written quotation, alternatively please visit our Facebook page for many images of our work. Our patio pressure washing service can include cleaning of driveways, decking, patios or other exterior areas. Some of the surfaces we commonly clean are patio slabs, mono blocks, Indian sand stone and cobbles. Patios can become very green and unsightly due to damp environment; this not only decreases the homes aesthetic value but also creates a slippery surface. We use a pressure washer to remove all the build-up of moss, dirt and stains from your patio. This powerful supply of water is effective in removing foreign objects that are particularly prone to build up in patio surfaces such as clay brick and textured patios. 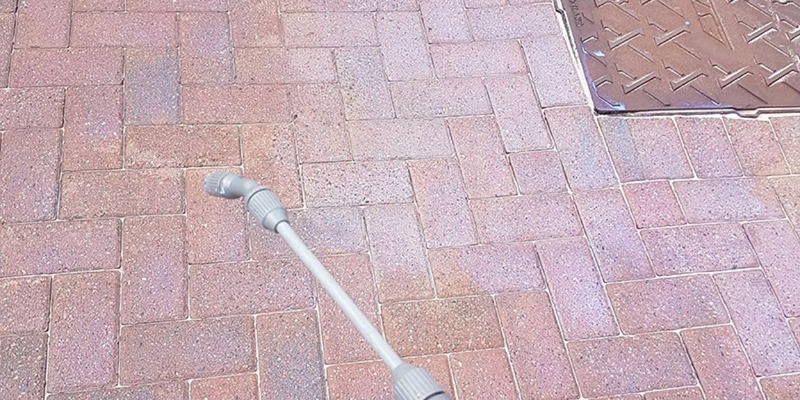 We have a rotary cleaner for cleaning patios in particular, this allows us to cover horizontal surfaces with a much more uniform spread of water, and due to the particular jets we use; there is no risk to the existing patio jointing. Patio slabs, especially Indian sand stone paving and some cobbles are pointed. This means that they have a stone acting as a joint. Often the joints can be worn and cracked, and this is very often the case in cement based jointing; where the mixing ration was weak initially. 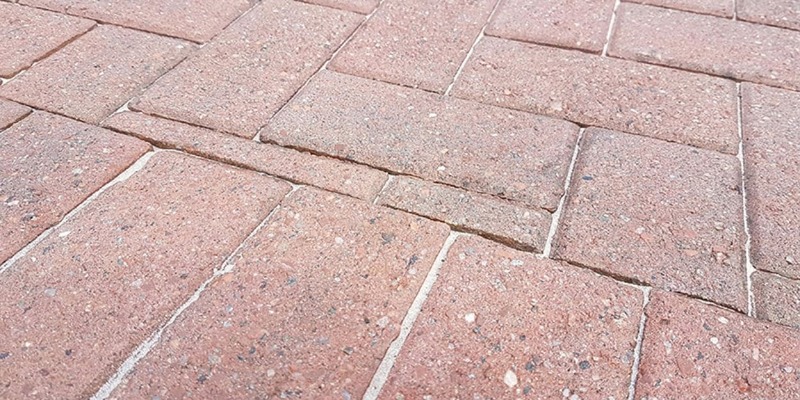 We can offer a service, whereby we identify the correct type of stone to replace this with and remove all old stone before either re pointing or rebedding the slabs if they are loose themselves. Patios can also be sealed with sealant, which acts as a barrier to future biological growth and which also limits the paving becoming faded and worn due to Uv light. Have a look at our driveway page for an example of how we apply sealants. We use www.resiblock.com as our main sealant of choice.